Well, it's a floral time of year and the last few weeks have been incredibly busy for us at This Floral Life. 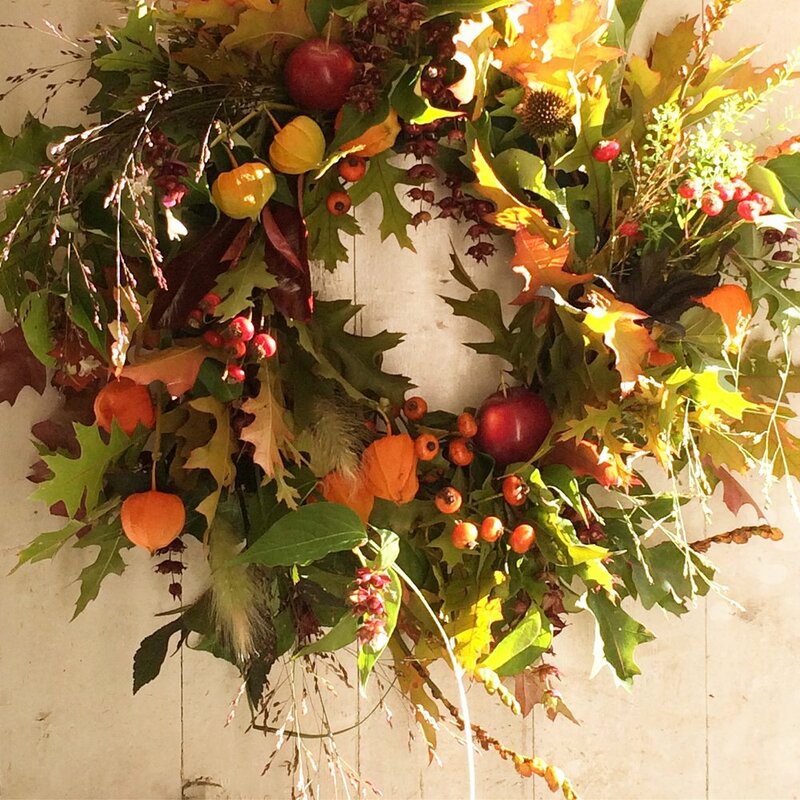 We've been making lots of wreaths, table decorations, planters and flowers for the Cowdray Farm shop and decorating trees, houses and shops for Christmas. It's been really hard work but so lovely and beautifully festive. It's a great time of year to be a florist! We've worked on some gorgeous events recently and this weekend we set up gorgeous Christmas tablescape for a private dinner at Cowdray House, Midhurst. 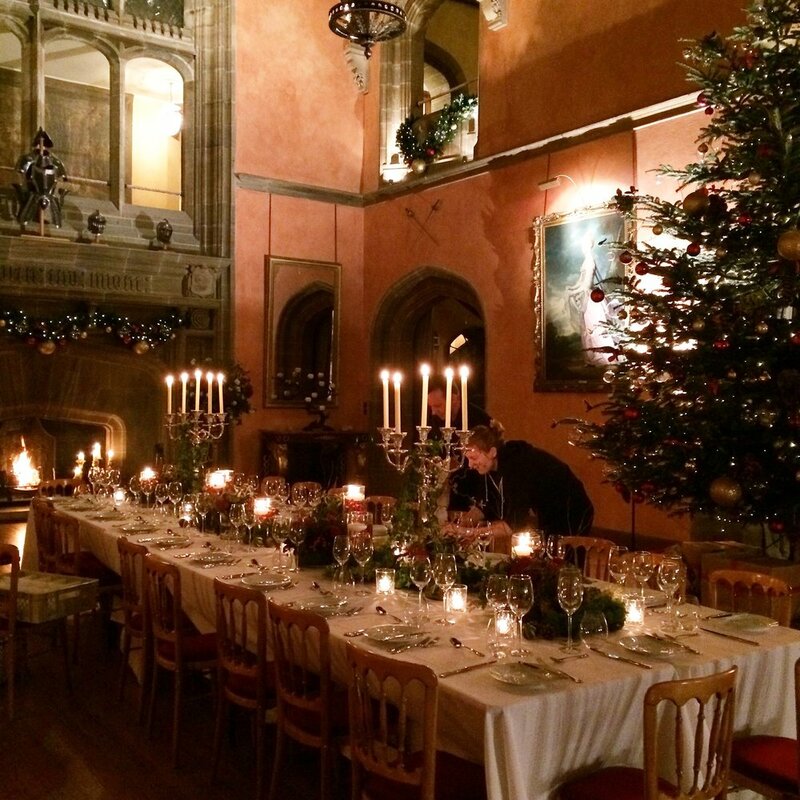 The dinner was in the fabulous Buck Hall and with the huge Christmas tree, balcony fireplace garlands that we installed last week, the room looked amazing. 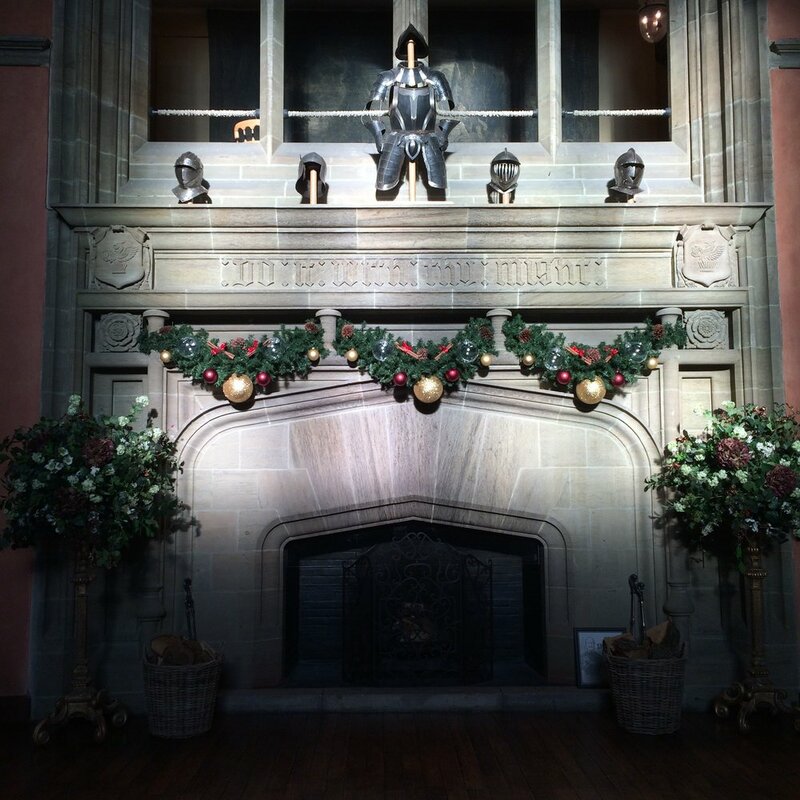 With the fire lit and hundreds of candles around the room, the stage was set for a magical Christmas event. 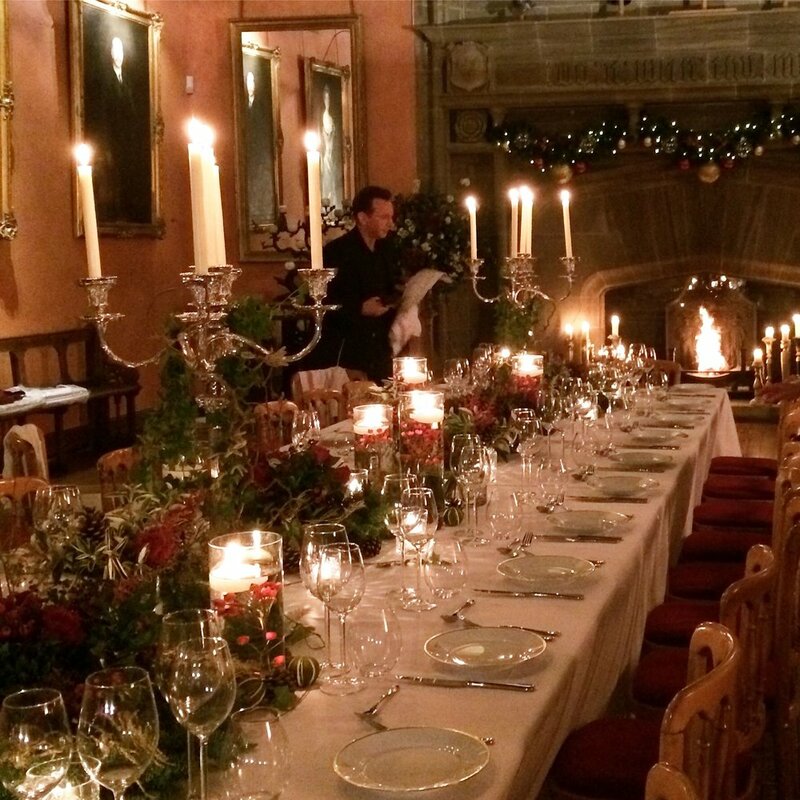 It's been a magical couple few weeks decorating some fabulous venues for Christmas including one of my absolute favourites; Cowdray House, Cowdray Park, Midhurst. 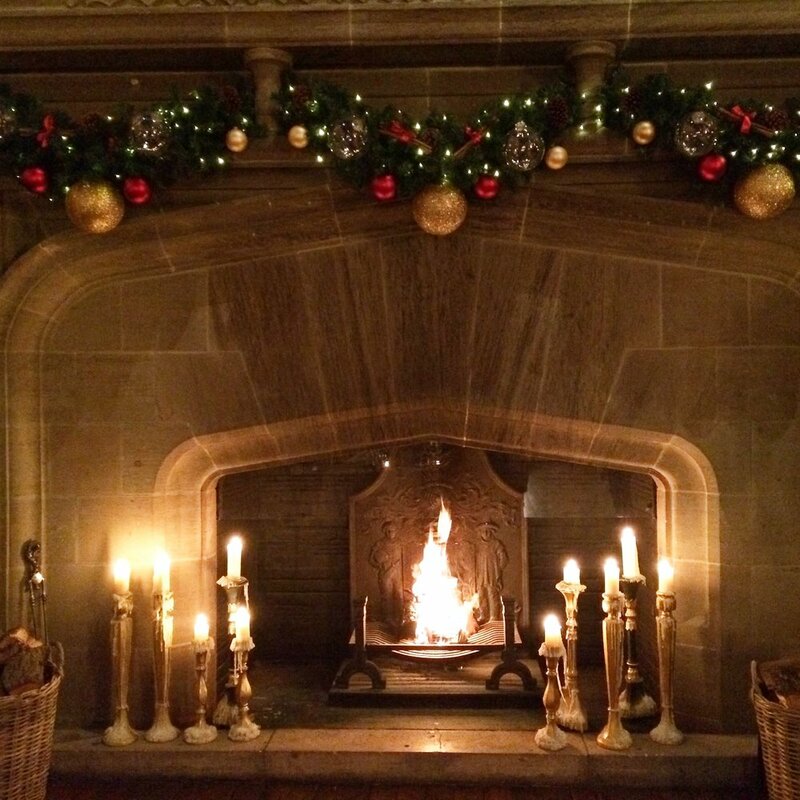 The Christmas tree was specially selected and cut from the Cowdray Estate and is a truly magnificent tree. It was an incredibly busy March in the flower studio with Mothering Sunday in the first week and Easter in the last. These events are huge 'peaks' in the flower business and although it's exceptionally hard work it's also really enjoyable. I loved this year more than any other as in addition to the fabulous variety of spring flowers I get to play with for my flower bouquets and bunches I also get to design planted bulb arrangements which I absolutely adore. Bringing the outside inside is even more important when Easter is cold and wet, as it was for at least some of the bank holiday weekend. 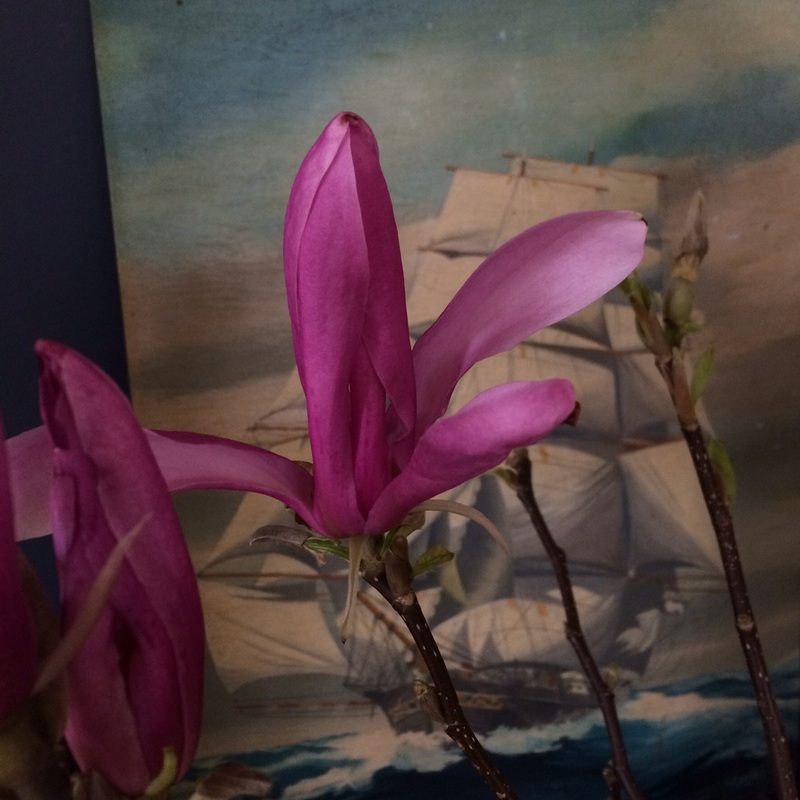 Watching the bulbs grow and unfold their flowers and witnessing the flowering branches of forsythia, chaenomelis, cherry blossom and magnolia burst into flower is sheer joy. I've lost count of the number of Easter 'trees' I've made this year for the displays at Cowdray Farm shop and Cafe, clients, friends and myself. 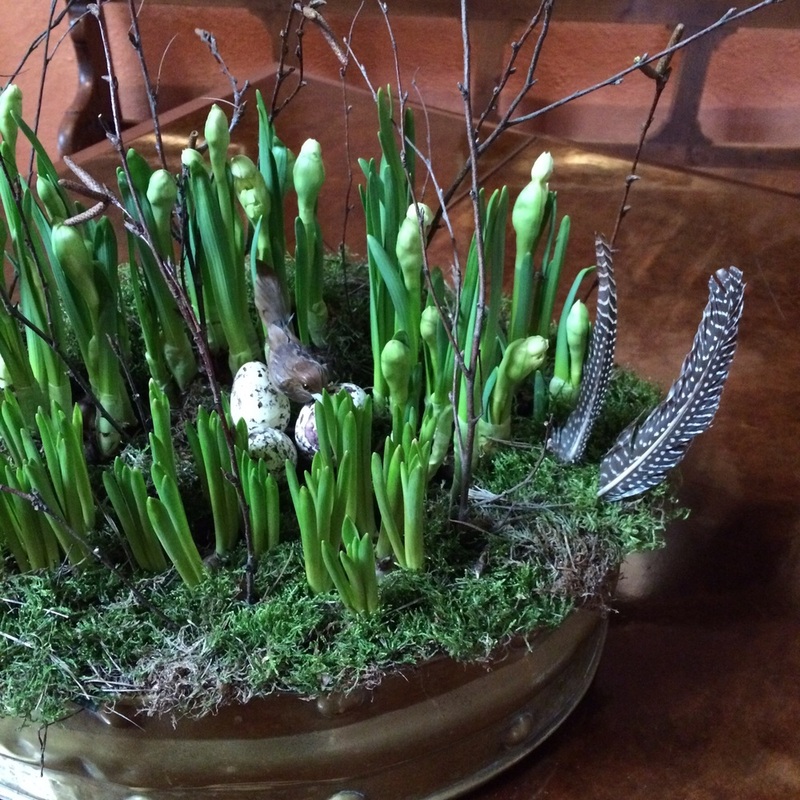 Branches of contorted willow, birch branches with catkins, real painted blown eggs and sweet little birds make fun Easter arrangements and, after Easter, you can remove the eggs and enjoy the branches which will burst into leaf heralding the arrival of Spring.